Taxing Gambling Winnings | TaxConnections is a where to find leading tax experts and tax resources worldwide. Gambling winnings are taxable – include them on line 21 of Form 1040 as other income. 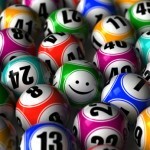 You can only deduct your gambling losses if you itemize your deductions (Schedule A). How do you know if you had winnings or losses? Often, it is easy. You buy ten lottery tickets at $1 each and one is a winner, let’s say $500. Of the $500, $1 is considered a return of your investment and is not taxable. So, $499 goes on line 21. The $9 spent for the losing tickets is a loss for Schedule A. What about a trip to the casinos? or multiple trips during the year? Do you track each bet, such as at a slot machine? That sounds unrealistic. The IRS says a session of play can be the bet. So, start at a machine with $100 and end up with $150 and you have $50 of winnings. Even if that also includes a $1,300 jackpot (for which the casino will give you a W-2G form, with a copy to the IRS). That gets a bit more complicated to report because the IRS will want to see the W-2G reported. So, an attachment with the explanation would be needed for line 21. The IRS recently issued a proposed safe harbor for “electronically tracked slot machine play.” I’ve got a short article on it, as well as some additional background on the current reporting rules, – here. I think it is interesting that the IRS is spending time on this issue when there are bigger issues out there and this safe harbor won’t address all types of gambling. Also, with tax reform continually a discussion topic, why allow a loss for that $9 of losing lottery tickets or any gambling loss? Doesn’t seem necessary and arguably, today’s system if flawed since the loss is only for those who itemize. AND, check out the article to see how the identification of “session of play” impacts how much is reported.